From jotting down your latest thoughts to writing your most recent program, a text editor is a go-to solution for Linux enthusiasts. Text editors are perhaps the most used software in Linux systems. They are used to modify system configs, administering system resources, and other critical areas of the system. So, your choice of Linux text editor should be capable enough to get the job done. Ironically, siding with a Linux HTML editor and text editor, are not that easy. The market is inflated with a lot of open source and proprietary editors. Luckily for you, we, at UbuntuPit, curated this list of top 20 Linux text editors for you to check. 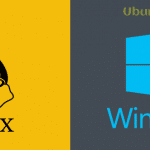 Stay with us throughout this guide to learn the ins and outs of each Linux text editor. 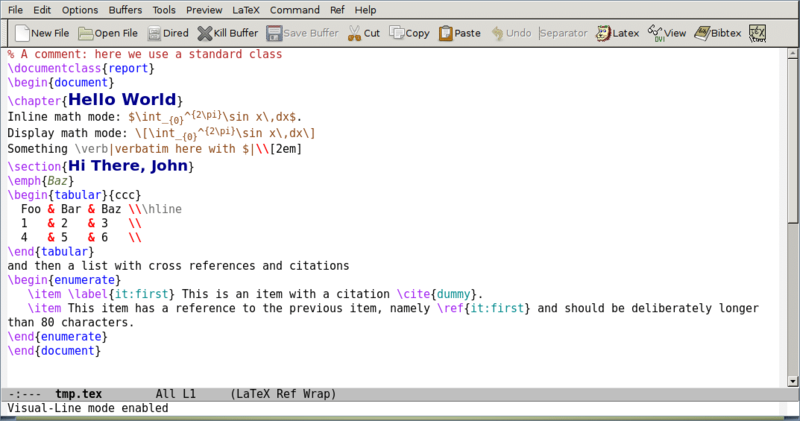 Considered as the best Linux text editor by many, Emacs is an exceptionally powerful open source text editor for Linux. It comes pre-packaged with loads of useful features aimed at making your life in front of the terminal a breeze. This open source HTML editor is infamous for its extensibility. You can extend the editor’s functionality by using a potentially unlimited number of third-party extensions. The real-time display of Emacs is far superior to most other Linux HTML editor known to us. 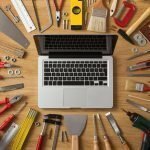 The editor has more than 10,000 built-in commands and macros that you can combine as you like to automate many of your daily tasks. A clone of Vi, the most powerful Linux text editor the world has ever seen, Vim offers all that you get with Vi, plus additional feature sets to provide ultimate user convenience. Vim’s interface is based entirely on commands and macros, instead of menus or icons, much similar to Vi’s. The popularity and influence Vim enjoy today around the globe can be credited to its highly customizable nature. You can customize Vim to any extent you like and even then. Vim enables you to play with multiple windows, that you can split any way you want. 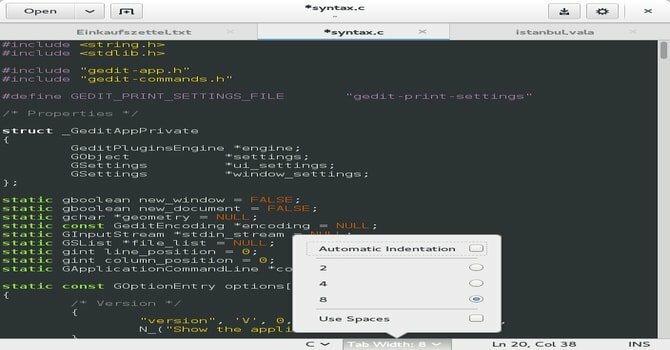 This Linux text editor lets you utilize asynchronous file I/O, SSH into remote systems, distinct editing modes, and other flexible features alike. This Linux text editor is notorious for out of the world performance and editing speed. Sublime Text is exceptionally feature-rich while maintaining a simple yet elegant user interface at the same time. This Linux HTML editor gives you the power to “Goto Anything,” a really convenient feature to navigate different files, lines, and symbols quickly. The command palette of this modern day open source HTML editor is very intuitive. You can even extend this editor’s functionality pretty quickly by choosing from a large number of open source plugins available freely. This text editor comes with an integrated terminal emulator, debugging tools, task runners, and ESLint integration. 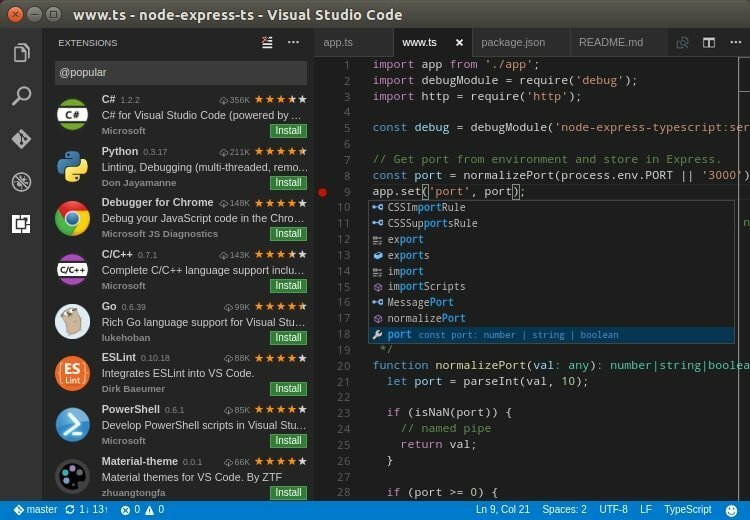 Visual Studio Code enjoys a massive fan following and a huge open source community which regularly contributes to its ever-growing number of open source extensions and plugins. 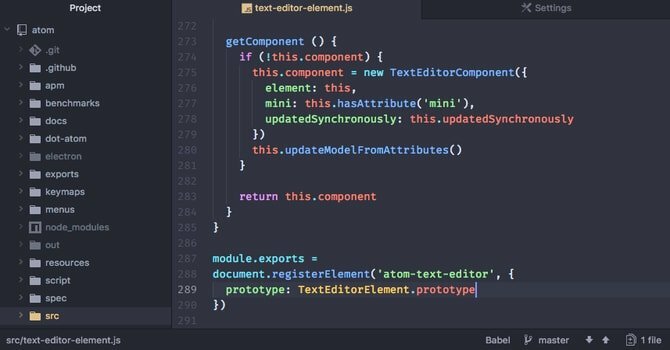 A brainchild of Github, Atom describes itself as the most hackable text editor of the 21st century. This Linux text editor is built on top of modern day web technologies like NodeJS and Electron and offers a massive list of advanced text editing functionalities. This open source HTML editor comes pre-packaged with a built-in package manager, smart auto-completion, file system browser, embedded Git control, multi-line edit, and other user convenient features. Atom’s powerful command palette lets you fuzzy search functions, settings, and snippets very quickly. The HiDPI support of this Linux HTML editor has practically zero scaling issues. 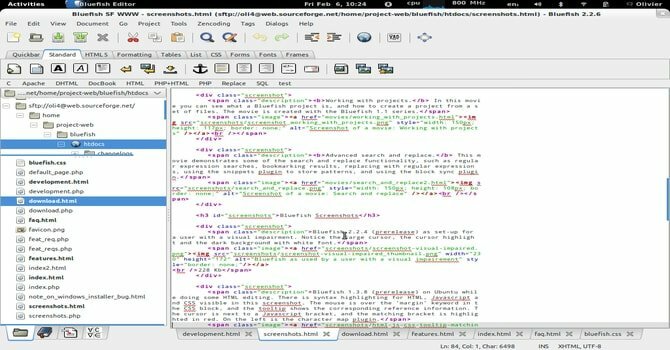 The most common Linux text editor to GNOME users, Gedit offers powerful text editing capabilities by incorporating a feature-rich user interface with convenient functionalities. This Linux HTML editor is lightweight yet versatile and comes pre-packaged with every modern-day text editing features for your convenience. Gedit’s lean and minimal interface is excellent for people like us that love minimalistic software. You can find literally tons of third party plugins or extensions that extend the capability of this open source HTML editor even further. One of the most straightforward yet most powerful Linux text editor you can get your hands on today, nano comes with just the bare minimum of features that makes it very simple to use. However, don’t mistake its minimal approach to text editing inappropriate for everyday text editing. This small open source HTML editor is capable of performing almost every type of text editing you’d require for personal use. The editor has a built-in cheat sheet for commonly used features and supports syntax highlighting for nearly every programming language. If you want to edit some files quickly from your already existing terminal session, nano might be the best option for you. If you’re coming to Linux from a Windows background, chances are many of Linux’s everyday open source HTML editor may feel somewhat complicated to you at first glance. Experts consider Kate to be the lightest Linux text editor that will feel almost identical to Windows’s notepad. From assembler to zsh, Kate has built-in support for over 180 languages. This Linux HTML editor lets you seamlessly read/write remote files over FTP, SSH, and other protocols. 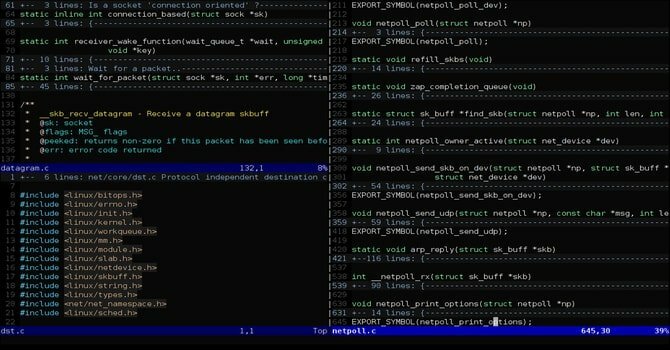 The editor itself is very fast and takes on a minimalistic approach with fast integrated terminal emulators for advanced users. It lets you access the Vi entry mode and an open source ecosystem that’s thriving with powerful extensions. If you’re looking for a console based Linux text editor that’s simple like nano, but with more powerful features, Diakonos is the editor for you. The developers marketed this open source HTML editor as more powerful than nano and pico, more straightforward to config than Emacs, and not as cryptic as Vi. Instead of taking the idiosyncratic keybinding approach present in Vi or Emacs, Diakonos follows the everyday Macintosh/Windows key bindings. Built on top of the Ruby programming language, Diakonos gives users the ability to use advanced macros, multi-element clipboard, parsed indentation, regular expression searching, hooks, ctags, and many more functionalities. It’s no wonder Diakonos is being hailed as the text editor for the masses. One of the smallest yet fastest Linux text editor you can use right now, Jed is available for almost any computing platform. This open source HTML editor has a faster runtime than bash itself. The editor is entirely customizable, with pre-existing emulation modes for Emacs, Borland IDE, and EDT. Built on top of the S scripting language, you can extend the capability of this Linux HTML editor with only a little work. From programming languages to markups, Jed has syntax highlighting support for almost any language. The drop-down menu provided by this small editor is one of the most convenient we’ve seen. This Linux text editor is forked from Vim. It sits on top of gVim, with an added set of scripts and add-ons that make it both powerful and convenient for non-terminal users. Cream aims at hooking new Linux users who find it hard to master Vim’s console based interface. So, this open source HTML editor is just plain Vim in essence, with a modern-day GUI. You can edit and convert any text formats instead of their size. One of the best HTML editors, Cream provides you with a massive set of encoding range for your documents. It also has numerous features aimed at increasing user conveniences like automatic indentation, file explorer window, slide generator, Hex to ASCII, and many more. 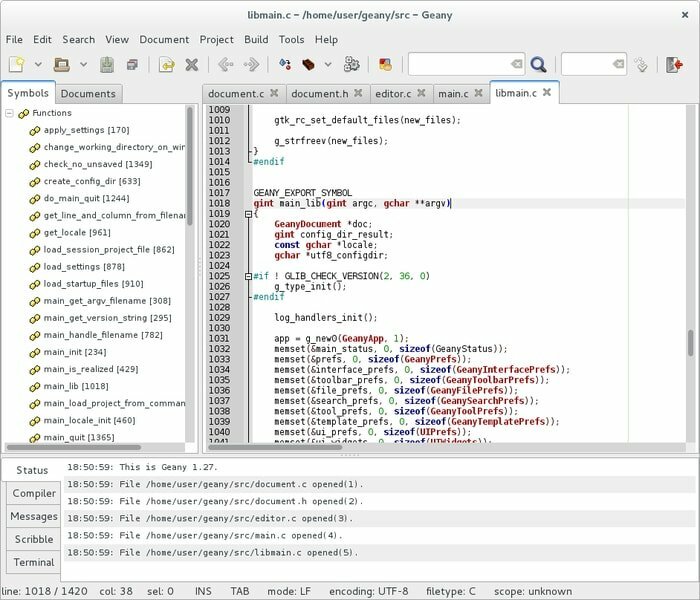 A revolutionary modern-day Linux text editor, Bluefish combines performance with awe-inspiring core feature sets. This open source HTML editor comes pre-occupied with Emmet support and has syntax highlighting feature for more than 100 different languages. The auto-completion and auto-tag-closing feature of this best HTML editor provides users with reference information even for nested code::blocks. The blazing fast interface of the editor makes sure it starts and serves according to rapid user requirements. Bluefish HTML editor also comes with an integrated regular expression searching facility built on top of Perl that can search and replace files quicker than you can anticipate. One of the most used Linux text editor by mature programmers, jEdit has plenty to offer when it comes to increasing productivity and convenience. Built on top of the Swing toolkit, this open source HTML editor has a GUI that is both powerful and feature rich. jEdit is notably the best option for Java programmers as it blends together powerful macros and builds tools to facilitate Java development. The highly customizable nature of this Linux HTML editor gives users the ability to extend its functionality even further. If you’re looking for an HTML editor free for developing your next web app, do not forget to check out this excellent editor. The lightweight nature of this Linux text editor is especially helpful if you’re working with more than one Linux HTML editor. Brackets code editor allows you inline editing and lives preview of your HTML codes at the same time. This cross-platform text editor has a built-in extension manager and preprocessor support. Hailed as the “next generation editor” by many, Light Table looks sharp and modern and has enjoyed some major hypes till inception. The editor itself is almost as powerful as a full-fledged IDE, rather than a usual Linux HTML editor. The inline editing feature of this open source HTML editor is best for editing legacy source files quickly while the “Watches” feature enables you to see what your code does in a live preview. A built-in plugin manager ensures you can install and manage plugins efficiently when increasing this Linux text editor’s capability down the line. One of the most popular Linux text editor to see limelight in recent times, Geany is very powerful and flexible at the same time. This open source HTML editor comes with its own GTK+ toolkit and serves as a fantastic platform for aspiring web programmers. If you’re in search for the best HTML editor for your next open source project, Geany definitely deserves a chance. This light and fast Linux HTML editor has a simple yet versatile project manager, full of user-convenient functionalities. The editor empowers you a quick search option for searching through even the largest of files. Geany also features a built-in terminal for people like me who wants the most out of their editors. If you’re coming from a Windows background and finding most Linux text editor hard to master, Notepadqq might be the way to go. This open source HTML editor is pretty much the same as Notepad++. With syntax highlighting for over 100 distinct programming languages and plugin support for most, this is the best HTML editor for a vast number of newcomers and veterans alike. The editor itself is lightning fast while being pretty intuitive. You’ll also get convenient everyday features like multiple line selection, regular expression searching, and HEX to ASCII converter. A treat to enthusiasts of minimalist editors like me; Scribes focuses more on streamlining your productivity. This Linux text editor automates everyday tasks to save you from repeating yourself. This open source HTML editor is document-centric, instead of being focused only on development. You can extend the editor’s functionality easily via freely available Python plugins and snippets. Scribes offer you a full range of convenient features such as automatic completion of words, pairs, and indentation while having a smart navigation feature for better user experience at the same time. Based on SCIntilla, SciTE is a lightweight yet powerful word processor for Linux systems. This open source HTML editor is highly customizable and gives you the ability to modify your preferences differently for distinct languages. Both the buffers and sessions feature of this Linux text editor s very powerful. It also comes packaged with convenient features like default keybindings, multi-line selection, virtual space, pattern matching option, and many more. You can extend the functionality of this Linux HTML editor via third-party Lua extensions. 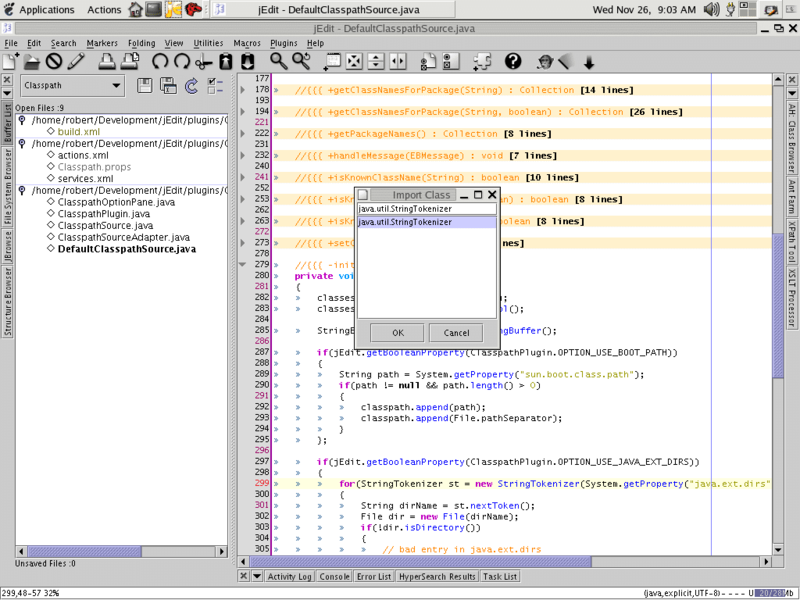 A GTK-based Linux text editor, TEA Text Editor comes with a wide range of text-processing functions. The syntax highlighting feature of this Linux HTML editor supports nearly most programming languages while maintaining a low-level of a footprint at the same time. TEA offers users a built-in file manager named Kwas, spell checker, tabbed layout engine, multiline encoding support, and many more. It also provides bracket matching, text analyzer, and a preview option that requires an external browser. It doesn’t matter whether you’re a veteran developer looking for his next sidekick or a newcomer into this fantastic world of Linux or Unix systems, a powerful Linux text editor is a must. 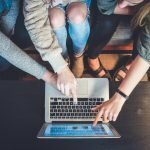 Choosing the right open source HTML editor or text editor might seem a hard task given a wide range of potentially great editors. However, we advise you check only editors those fulfill your personal requirements to the brim. Hopefully, you have gained some critical insights from our post. We cordially thank you for staying throughout this long guide and wish you all the best for your journey on finding the best Linux text editor.